NServicebus is designed for collaboration between different services. It’s not just a replacement for WCF, BizTalk, ….. You can easily combine NServiceBus with BizTalk. 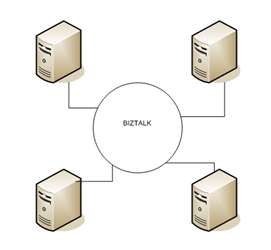 For BizTalk, the communication goes through one central box. We can call BizTalk a Broker style. All the information goes through BizTalk itself. NServiceBus is something different. 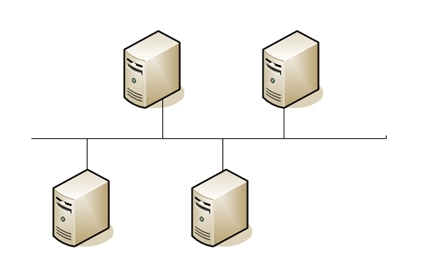 It’s more a peer-to-peer architecture that works on the message queues from Microsoft ( MSMQ ). So NServiceBus will do all the communication between systems with MSMQ. When you handle your message you still need to do the further communication. When one of the “servers” go down because some hardware failure,... the communication between the other systems continues. This is some key feature for NServiceBus because you can keep sending messages. When the systems comes back online after the repair. It will get all the messages from the other systems, because they hold their messages in the queues . Now you know the basic difference between some other Integration tools. Like always a demo/example says more than thousands words. So in the next blog post we will setup, the NServiceBus Environment and let you see some simple example about Request / Response. Do you want to read more about NServiceBus, stay tuned!